The addition of genetic enhancements and MECs also makes the early game set-up even more complicated, as you still need to go through the convoluted rigmarole of building your foundational workshops and laboratories and power generators, setting up your satellite networks to receive funding, and upgrading your soldiers' weapons and armour so they don't get pulverised the moment a Cyberdisc arrives on the scene. All fast enough so that you don't lose half of the countries involved in the XCOM programme before the first Terror Mission. It is manageable, and there's a huge buzz to be had from successfully navigating that complex infrastructure, but there's very little room for error, and if you build the wrong thing at the wrong time, it can cause a real headache. Still, it's worth it, because the new upgrades and units make a considerable tactical difference, and some of the builds you can create, such as a cloaking sniper with legs like a grasshopper, or a medic who automatically regenerates health, provide magnificent tactical advantages. But it's the MEC that steal the show. 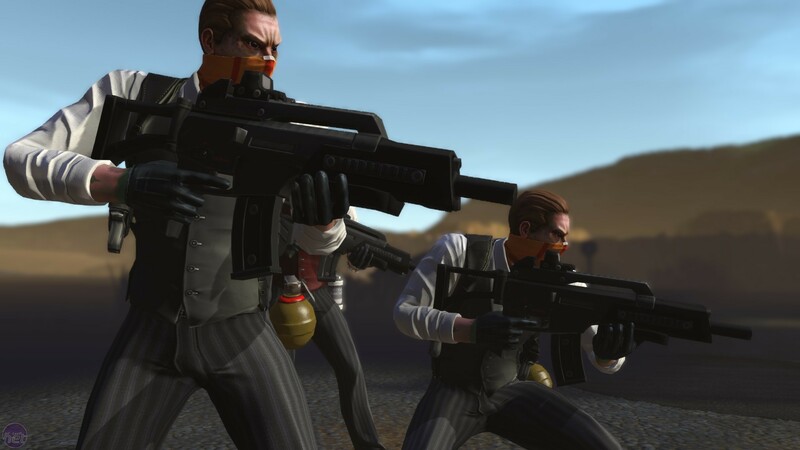 They can be geared toward acting as either a battering ram, with a minigun and a hydraulic arm that together smash through cover and anything hiding behind it, or a wall, with a flamethrower which causes even the most enraged Muton to turn tail and run, and the ability to transform into cover for your other soldiers. They can't use cover themselves, however, and so are constantly vulnerable to enemy fire, meaning you need to be exceptionally careful about positioning them. Of course, not all the additions go your way. The aliens are given a few extra tools of their own. 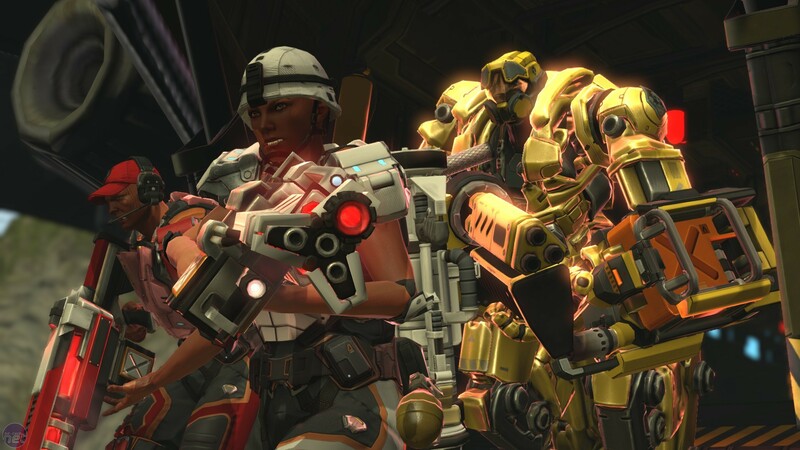 New units include the brilliantly named Mechtoid, which is, shockingly, a Sectoid inside a great big Mech suit that transforms XCOM's traditional cannon fodder into a truly fearsome opponent. The other new alien enemy is the Seeker, who are frankly a bit disappointing. A floating squid able to turn invisible and then reappear a few turns later to grab one of your soldiers in a literal stranglehold, they're vulnerable to sensible use of Overwatch. If you're the sort who likes to keep a Sniper hidden away at the back of the battlefield, however, you may find them to be more of a threat. The best new enemy though are Exalt, human Xeno sympathisers who set up cells across the globe dedicated to sabotaging XCOM's defences. 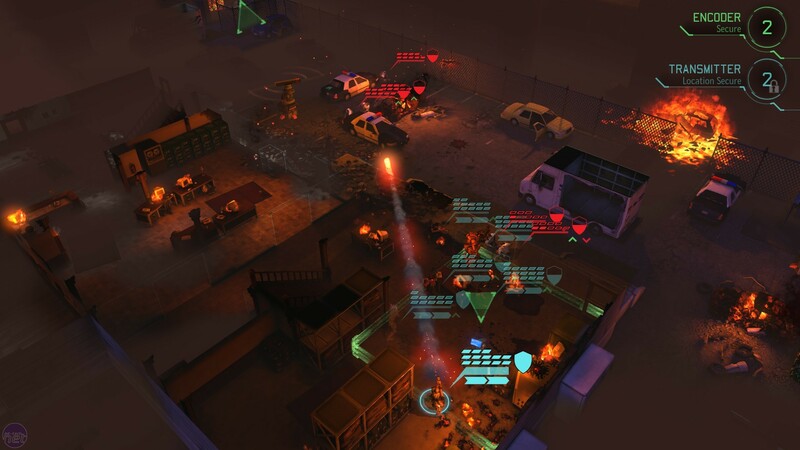 Fighting them involves participating in "Covert Operations" in which you sneak a lone soldier into an Exalt outpost to gather information regarding the location of their central base, and then several days later send in an XCOM team to "Extract" them. This means reuniting your agent with your team before Exalt finds them, or holding off Exalt until your agent can complete their mission. Exalt's footsoldiers are tough and numerous, equipped with weaponry similar to your own and their own brand of genetic enhancements. They also tend to attack from all angles, rather than a specific direction, which makes fighting them a very different kind of challenge. Their inclusion adds some much-needed spice to the mid-game. Alongside these major changes are dozens of incremental updates and additions. Medals, for example, are small stat bonuses that can be awarded to your soldiers as you deem fit, and there are countless additions to weapons and equipment ranging from new types of grenades to a great big railgun. Unfortunately, while all of these updates dramatically alter how the early and mid-game play out, they have hardly any effect on the late game. The last mission also remains short, simple and anticlimactic. This problem of a fizzling conclusion is compounded by Enemy Within's explosive beginning and smouldering centre, and should Firaxis deign to create a second expansion, the late-game is definitely what it should address. At the same time however, the unchanged ending highlights how good an expansion Enemy Within is. 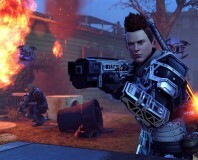 It's more complex, and further distances Firaxis' take on XCOM from Julian Gollop's original vision, but it's also unquestionably better, and makes XCOM into one of the most entertaining games of the year for a second year running.